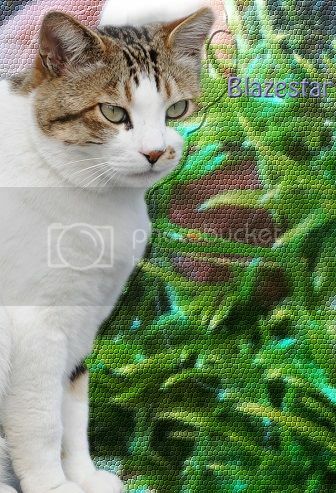 Blazestar wrote: "Then by StarClan, I give you your warrior name. Dewpaw, you will be known as Dewcloud. StarClan honors you and we welcome you as a full warrior of FrozenClan." Leaping down from the rock, Blazestar padded forward and rested her muzzle on top of Dewcloud's head. Dewcloud licked Blazestar's shoulder, then sat back and listened to the clan call out her new name. "Dewcloud, Dewcloud, Dewcloud!" cheered Hollypaw for her former denmate. Shadeshine padded into the FrozenClan camp, carrying dock in her jaws. She made her way into the den she shared with Gingerwing, placing the dock into the storage. "I, Blazestar, Leader of FrozenClan, call upon my warrior ancestors to look down on this apprentice. She has trained hard to understand the ways of your noble code, and I commend her to you as a warrior in her turn. Cedarpaw, do you promise to uphold the warrior code and protect and defend this Clan, even at the cost of your life?" "Then by StarClan, I give you your warrior name. Cedarpaw, you will be known as Cedarpool. StarClan honors you and we welcome you as a full warrior of FrozenClan." Leaping down from the rock, Blazestar padded forward and rested her muzzle on top of Cedarpool's head. Cedarpool licked Blazestar's shoulder, then sat back and listened to the clan call out her new name. "Cedarpool, Cedarpool, Cedarpool!" cheered Hollypaw for her former denmate. Starpoppy pulled a mouse from the fresh-kill pile and sat down to eat. Shadeshine padded out of her den, dragging the body of Dustegg in her jaws. She made her way to the center of the clan camp, arranging the deputy's body so the clan could grieve. Eggbird padded forward and pressed her nose into Dustegg's fur. Blazestar pressed her nose into Dustegg's fur, then tossed her head back in a yowl. "Cats of FrozenClan. Listen, And I will appoint the new deputy. I say these words before StarClan so our ancestors may hear my approve and choice...Owlwhisker will be the deputy of FrozenClan!" "Thank you, Blazestar." meowed Owlwhisker with a dip of his head. "Owlwhisker, Owlwhisker, Owlwhisker!" cheered Sleepflower for the clan's new deputy. Shadeshine padded into the FrozenClan camp, carrying yarrow in her jaws. She made her way into the den she shared with Gingerwing, placing the yarrow into the storage. "I, Blazestar, Leader of FrozenClan, call upon my warrior ancestors to look down on these apprentices. They have trained hard to understand the ways of your noble code, and I commend them to you as warriors in their turn. Windpaw, Mothpaw, Hollypaw, do you promise to uphold the warrior code and protect and defend this Clan, even at the cost of your life?" "I do." meowed Windpaw flatly. "Then by StarClan, I give you all your warrior names." continued Blazestar. 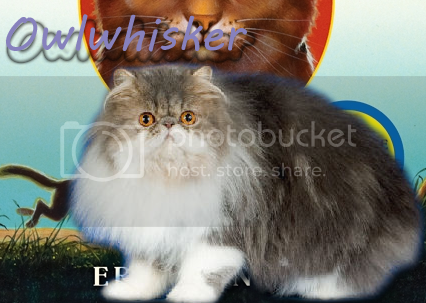 "Windpaw, you will be known as Windwhisker. Mothpaw, you will be known as Mothbranch. Hollypaw, you will be known as Hollybristle. StarClan honors you all and we welcome you all as full warriors of FrozenClan."